Jazz musicians are obsessed with practicing. To play this music well it requires a lot of skill and a certain level of virtuosity. 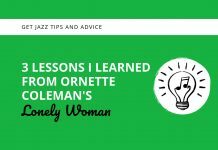 Most of us jazz geeks don’t mind sitting down to play our instrument, and in fact many of us are looking for just about any excuse to do so. At the same time a lot of us are constantly frustrated with where we are at in our playing. We never seem to feel like we have “arrived”. 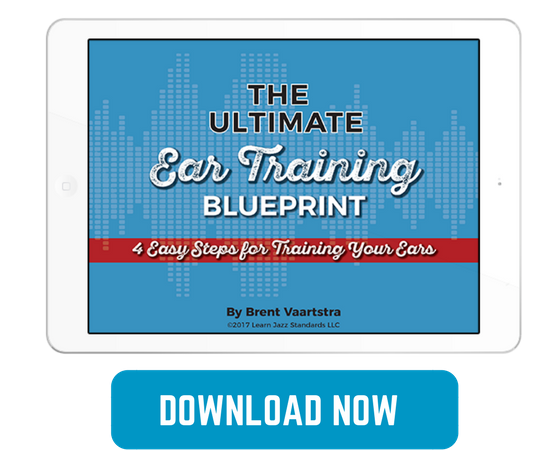 We’re always upset that our practice sessions aren’t yielding the results we want them too. Often we think “If I just practice more and longer, I’ll get better!” only to find that doing so didn’t help us improve any faster. 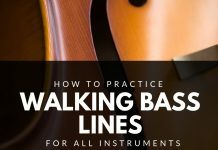 I have a lot of advice to give on practicing. 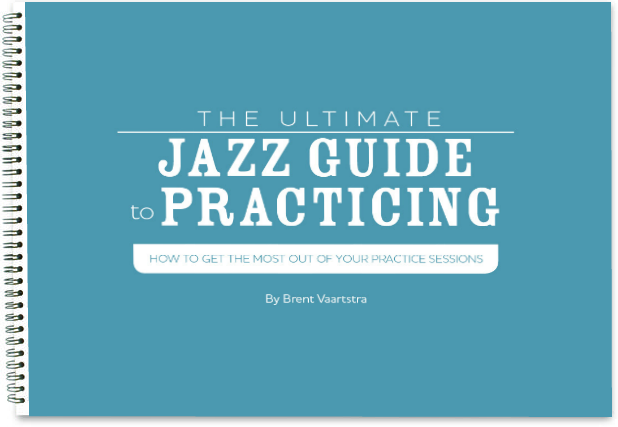 If you subscribe to our newsletter you can get my free e-book A Jazz Guide To Practicing which covers a lot of important practicing topics. However, when it comes down to it, there is one piece of advise that I think trumps them all. It’s probably not what you’re expecting. It’s not a particular concept or idea that you should practice. It’s not how long or how often you should practice. It has little to do with music but everything to do with setting yourself up for success with anything in life. It’s no secret that studies have been done showing that those who not only have goals, but write them down are much more likely to achieve success than those that don’t. Often times we go into our practice sessions having absolutely no idea of what we want to accomplish. We haven’t taken the time to ask ourselves the big question: What do I want to get out of this thing? What do you want to accomplish? What do you want to learn? What is holding you back that you want to conquer? If you don’t know the answer to this, you might be heading into your next practice session only to mindlessly noodle for an hour and not have accomplished anything. Set goals for yourself and write them down. Put them on a piece of paper and hang it somewhere so you don’t forget. I did this in college multiple times and it really helped me to stay focused on my goals. Once you have set your goals, create practice routines based around them and write them down before you step into the practice room. I had a friend who turned me onto this. It wasn’t something I was unfamiliar with, but when I saw how diligently he did it, I was inspired. 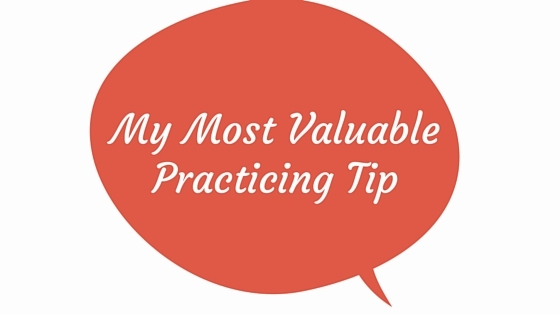 When I started doing it consistently I realized I was getting so much more out of my practice sessions. It kept me focused and forced me to accomplish what was on that piece of paper. Before I knew it my goals were informing my practice routines and my practice routines were transforming the way I played. Gone were the days of noodling and practicing random things that weren’t helping me. 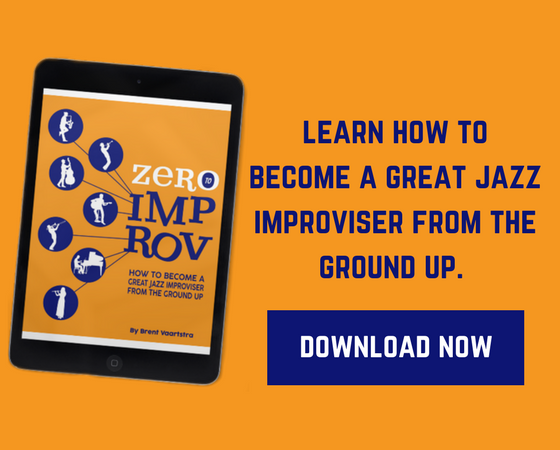 Again, I go into way more detail about this and more in my book so be sure to sign up for the newsletter to get your free copy!